It’s fall in the South, which means a few things. The humidity has started to lessen and the temperatures started to lower. The students are back in school. And college football season is upon is. No matter what team you root for, the region has so many great college towns with plenty to offer beyond the campus. 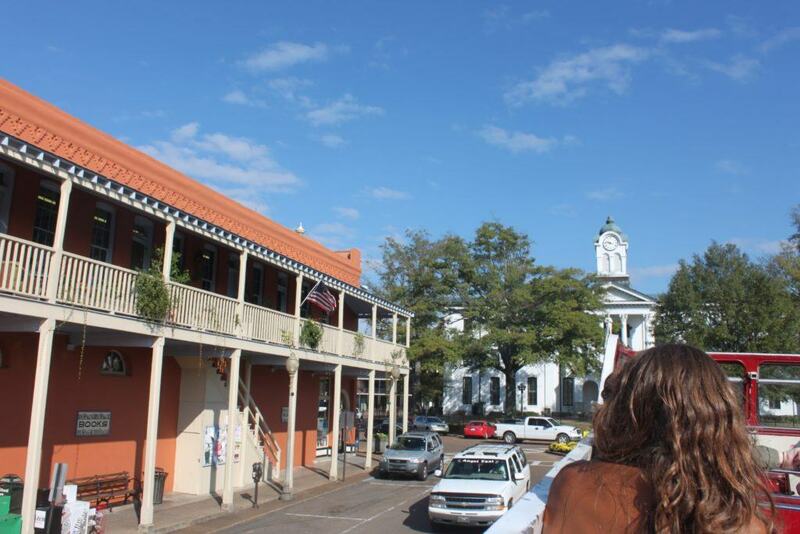 Our first in a series of guides comes to you from Oxford, home to the University of Mississippi, but known more affectionately as “Ole Miss.” This guide assumes that you will be spending much of your time tailgating in The Grove and cheering on your sports team of choice, but during your time off, here are just a few places we recommend for your next trip from our guide to Oxford, Mississippi. There’s always something going on in Oxford, even when it’s not football season. 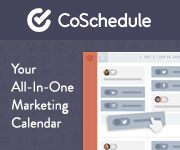 Double Decker Festival, Oxford Blues Fest, and Oxford Film Festival are just a few. Rowan Oak– William Faulkner purchased this plantation in 1930 and lived here throughout most of his career. It’s now a museum devoted to the author managed by the University of Mississippi. 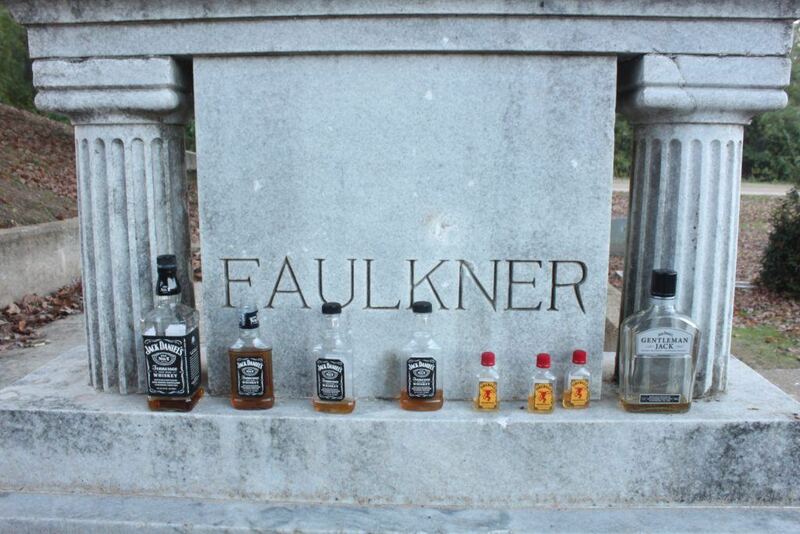 Faulkner Grave at Saint Peter’s Cemetery– Stop by this cemetery not far from the Square to pay your respects to the writer. Visitors can leave him a bottle of Jack Daniels, his drink of choice. Buie-Skipwith Museum– Get a dose of culture during your visit to Oxford at the University Museum, made up of three different museums. It features historic homes, including Rowan Oak, a large art collection, and even a museum of scientific instruments. Thacker Mountain Radio– If your visit coincides, you should catch a live broadcast of this music and literary show, held at Off Square Books. You never know who you might see! Double-decker bus tour– Inspired by the buses found in this city’s English namesake, the city offers seasonal double-decker bus and rickshaw rides. They tell you more about the history of the college town and showcase important landmarks. Shopping– The Square is the best place to peruse the shops and find something to wear to the game or a souvenir to bring home. Amelia, Cicada Boutique, Indigo’s, Landry’s, Neilson’s, Nest Paper Studio and Square Books are just a few of our favorites. 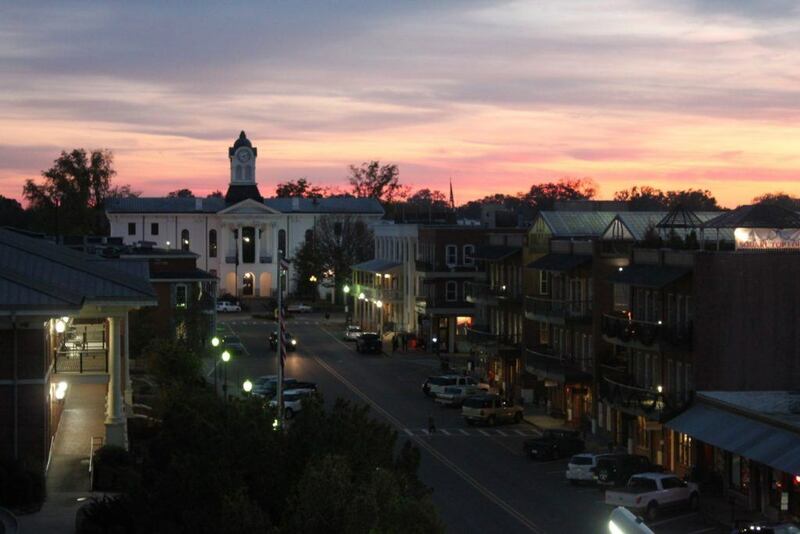 Oxford, Mississippi is a foodie’s dream, especially as the home to Chef John Currence, who owns the majority of the restaurants in town. 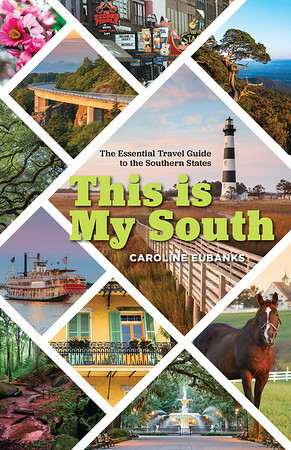 But you’ll also find local chefs doing Southern food in a unique way. Bring your stretchy pants! Big Bad Breakfast– By far the most beloved breakfast spot in town, it’s not uncommon to wait an hour on game weekends. But the house-cured bacon, skillets, and french toast are worth it. Bottletree Bakery– Another favorite is closer to the square and has daily changing specials. 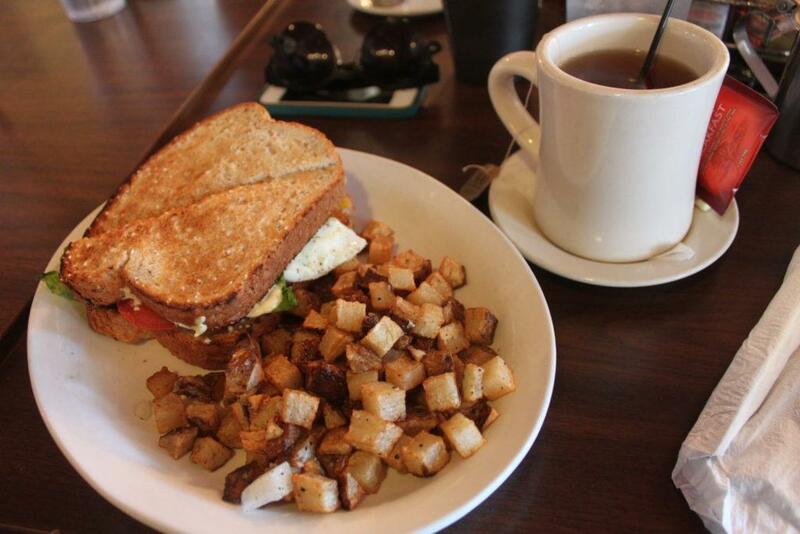 Open for breakfast and lunch, opt for sandwiches, pastries, or soup. Ajax Diner– The soul food eatery is known for the toothpicks littering the ceiling. Plate lunches allow you to have a hearty lunch with plenty of options, especially if you’re fueling up before a night out. 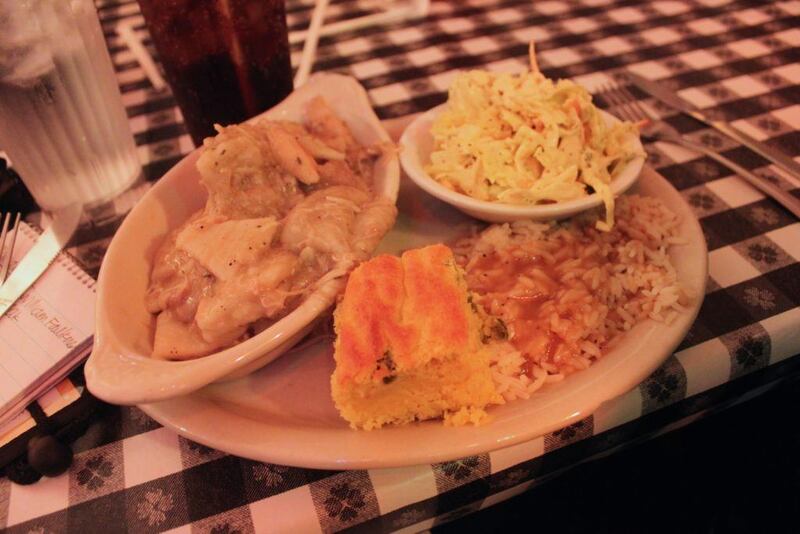 Chicken and dumplings, cornbread, and fried catfish po boys are all winners. Oxford Canteen– Tucked into an alley next to the Lyric Theatre, the canteen hosts seasonal pop-ups, each under a different theme. It’s small on space, but a popular spot for a quick lunch. Green Line Salads– Do you need a break from deep fried goodness? Greenline makes signature creations or allows you to build your own salad or wrap. Snackbar– Southern meets French at this Currence restaurant run by an Indian chef. Oysters and small plates are the main draw at the dinner-only eatery. Save room for dessert! Second Line– The second location of this Memphis restaurant is inspired by the flavors of New Orleans. It has some of the best barbecue shrimp you’ll find outside of Louisiana! Po boys and Natchitoches meat pies are also a hit. 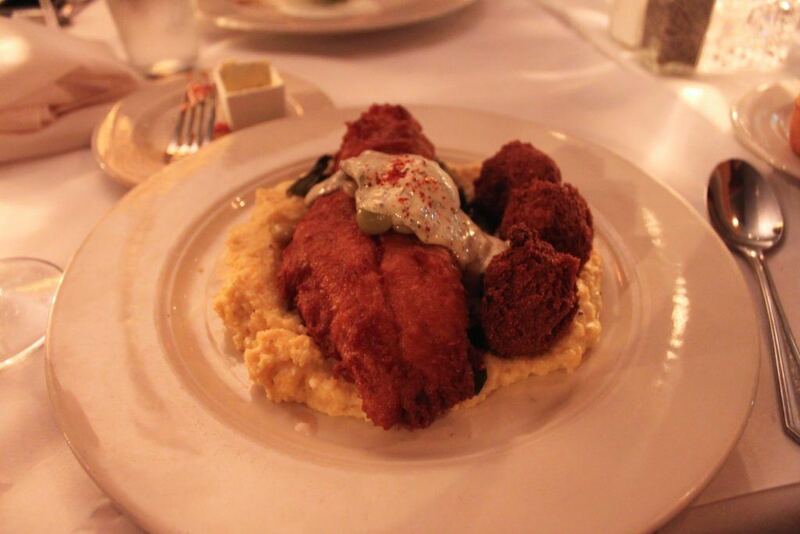 Taylor Grocery– Make the drive out of town and drink your BYO alcohol as you wait for a table at this beloved catfish restaurant. Live music is held every weekend and bring a pen to sign your name on the wall. After you’ve had your fill of the college campus and football stadium, make your way to the Square for even more fun. You’ll find both sports bars swarming with coeds and upscale local spots. The Lamar Lounge– Barbecue restaurant by day and music venue by night, Lamar Lounge is a great place to grab a bite and pint. Grab a strong cocktail or craft beer and know that all proceeds to the restaurant are donated to charities. The Library– Students make jokes about the money they spend at “the library” showing up on their parents’ credit card receipts. Multiple bars make it easy to find a drink and there’s plenty of draft beers to choose from. The Coop– Located in the Graduate hotel, this rooftop bar has both indoor and outdoor space as well as a full restaurant. It can get very crowded on game weekends and may be limited only to guests. High Point Coffee– When you’re ready for a jolt, this coffee shop is close to the square. You’re likely to see students working on papers while enjoying strong coffee, smoothies, and light bites. Best of all, the beans are roasted locally. Proud Larry’s– Catch some live music while you’re in town at this restaurant and venue, offering shows two to five times per week. All genres are covered, including country, blues, and rock. Saint Leo– This Italian eatery serves wood fired pizzas as well as seasonal, local dishes. But it’s the craft cocktails that place it a step above the rest. The Saint Leo Mai Tai is just one of the many delicious ones to choose from. The Wine Bar– The name says it all. But in addition to wines from around the world, they carry many types of spirits and have a full restaurant. Many accommodation options in Oxford are located near the highway, but there are a few places to stay within walking distance of downtown and campus. Keep in mind that rooms quickly book up during football season. 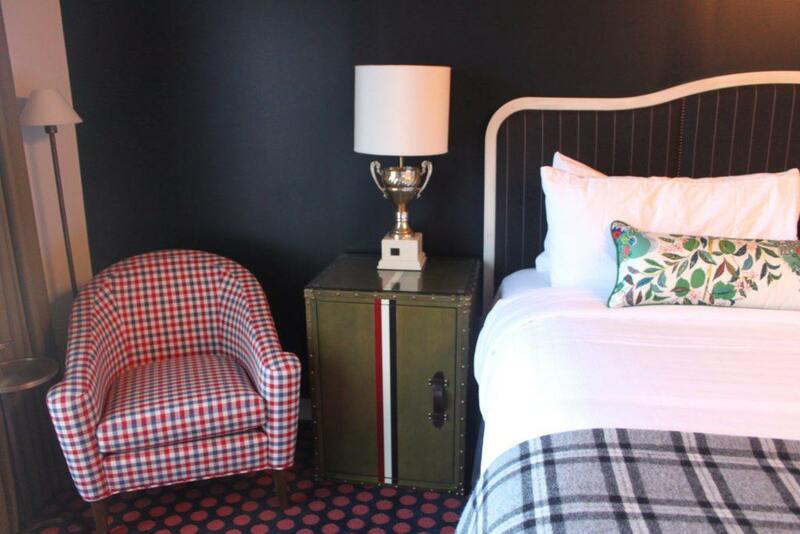 Graduate Oxford– This boutique chain specializes in college towns and the entire hotel is outfitted to showcase the best of Oxford. For example, furniture is in Ole Miss colors and the lobby features an art piece that is a map of The Grove. Blue Creek Cabin Bed & Breakfast– Stay in a 1800s log cabin for a unique way to experience Oxford. Breakfast is included with your stay, as is the daily wine reception. Chancellor’s House– This luxury property will soon open near campus, providing visiting parents and tourists alike with a more upscale experience. Top-of-the-line amenities include plush bathrobes, butler and maid services, multiple dining venues, and a spa. The Z Bed and Breakfast– Feel like home at the Z, made up of multiple historic homes. Complimentary breakfast and wine receptions are included in your stay, which sets you just a short walk from the town square. Airbnb– You can also rent a house or apartment during your stay, which is especially beneficial if you’re traveling with a large group. It’s generally easier to find a rental to accommodate you than it is to book multiple hotel rooms. Book your stay in Oxford with our preferred partner. My visit to Oxford was arranged by Visit Oxford MS and Laurie Rowe Communications.